REVENGE and bragging rights will be at stake when Baroka FC face their Limpopo rivals Black Leopards in an Absa Premiership encounter at the Peter Mokaba Stadium on Sunday (3:30pm). The last time the two sides clashed Lidoda Duvha won 1-0 at the Thohoyandou Stadium in October last year, with Phathutshedzo Nange scoring the winner. But Baroka captain, Mduduzi Mdantsane, cautioned yesterday that lighting does not strike twice at the same place, and they are heading to this showdown to avenge last year’s defeat. 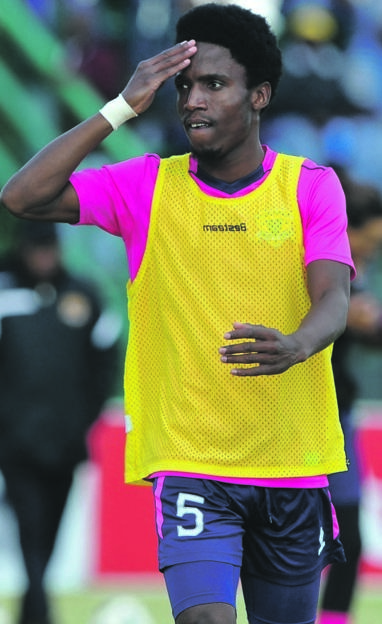 “This is a big game for Limpopo...we all want to win the derby,” said Mdantsane. But Leopards captain and defender, Marks Munyai, told SunSport they aim to complete a double over Baroka. “We beat Baroka and Polokwane City FC in the first round,” boasted Munyai, “and we want to win those bragging rights again”. The Ga-Mphahlele based side are currently 13th on the log with 14 points while the Venda side are one spot behind them on 13 points. A win for either side will help them steer clear off the relegation zone. Leopards head coach, Dylan Kerr, will rely on Munyai, Tshwarelo Bereng and former Orlando Pirates midfielder Lehlohonolo Masalesa for victory. Wedson Nyirenda on the other hand will put his trust on Mdantsane who helped them win the Telkom Knockout last month. Baroka strikers – Talent Chawapiwa and Jemondre Dickens – are the other players who will be troublesome for Leopards defence.